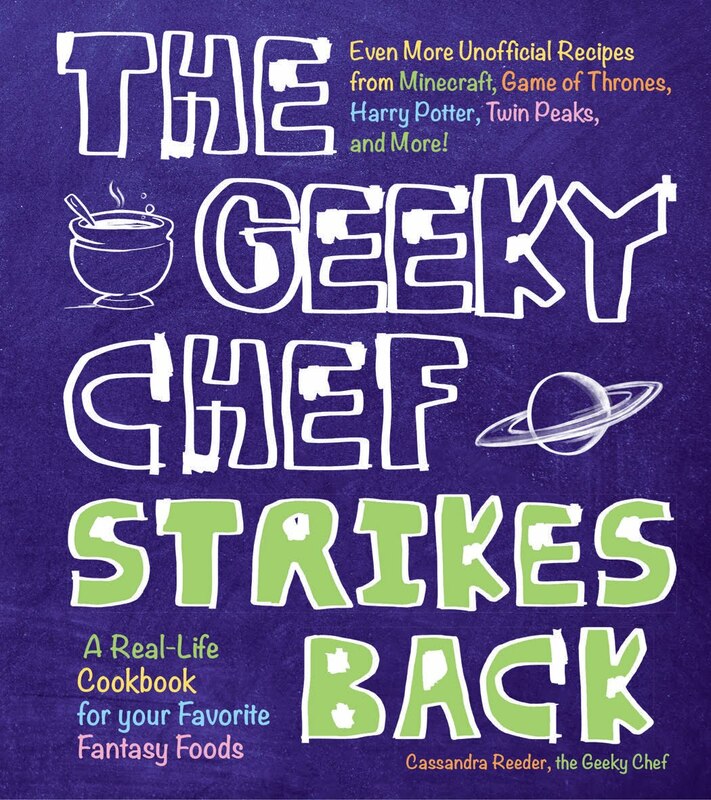 What recipe would you like to see on Geeky Chef? 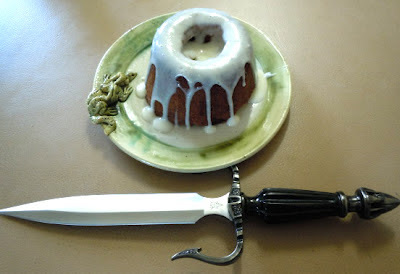 In honor of what many geeks consider to be the best game of 2011, I asked you guys which Skyrim food I should make a recipe for, and you guys chose the sweetroll! Although there's a plethora of interesting foods in Skyrim, I really wasn't surprised that sweetrolls won. 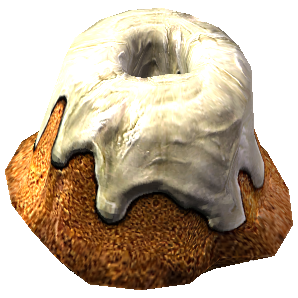 The appearance of sweetrolls in Bethesda games has been a running gag for most of the developers run, appearing in all of the games in the Elder Scrolls series, as well as Fallout 3. They look different from game to game, taking on a very large mountainous shape in Skyrim. I pondered at how to achieve the most accurate size and shape for these delicious treats without anyone having to purchase any special mold. I found that the best way to Fus Ro Dah yourself up some sweetroll is to bake the rolls in a glass measuring cup, so you'll need an oven-safe 16oz measuring cup (such as Pyrex) to do this. It is never really divulged what ingredients are in a sweet roll but most would agree that it seems to be similar to a cinnamon bun. I went with a simple cinnamon bun cake recipe with cream cheese icing, and it is delicious. I suggest baking them on your day off before you begin playing for 15 hours straight and ignoring everything else you probably should be doing. I used to play Skyrim for 15 hours straight, until I took an arrow... OKAY, I won't. Make sure no one steals your sweetroll! EDIT: In addition to using a Pyrex, you can also buy one of these for the absolute perfect shape! This recipe makes two sweet rolls. Depending on how many oven-safe measuring cups you have, you can either make one at a time or both at once. Preheat oven to 350. Mix dry cake ingredients together. Separately, mix wet cake ingredients together. Add wet ingredients to the dry ingredients and mix thoroughly. Spray your oven-safe glass measuring cup with non-stick cooking spray. Add your batter to the measuring cup to the 1 cup or the 1 1/2 cup line, depending on how tall you want it. Bake at 350 degrees Fahrenheit for 30 minutes or until your can stick in a knife and it comes out clean. Remove measuring cup from the oven. Let the cake cool. Once cake is cool, remove it from the measuring cup carefully so it does not break. The cake is going to be upside down (so the wider part is at the bottom) and may be awkwardly rounded on the bottom side. To fix this, simply cut off the rounded bottom with a knife to make it level. Set the cake down with the wider leveled side on the bottom. Use a spoon or fork to carve a hole at the top of the cake, this is where you will put the filling. To make the filling mix together the butter, pecans, cinnamon and brown sugar. Stuff the mixture into the hole you created. For the icing, whisk together the softened cream cheese, powdered sugar and milk until smooth and thick. Gently pour the icing on top of the cake. Serve or have it all to yourself! Remember, in Skyrim, stealing a sweetroll is punishable by a night in jail. 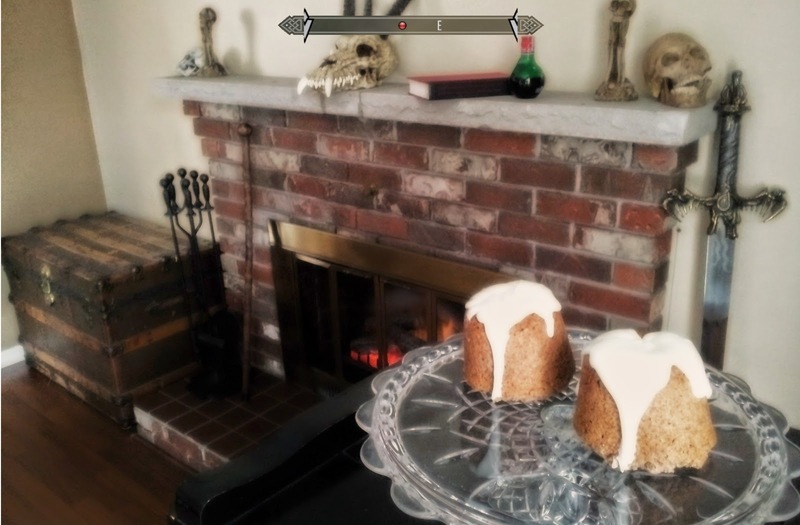 Photo by JTM Games in the post "The Skyrim Sweet Roll"
Did someone steal your sweetroll? NO, I MADE MORE YOU IGNORANT GUARDS! 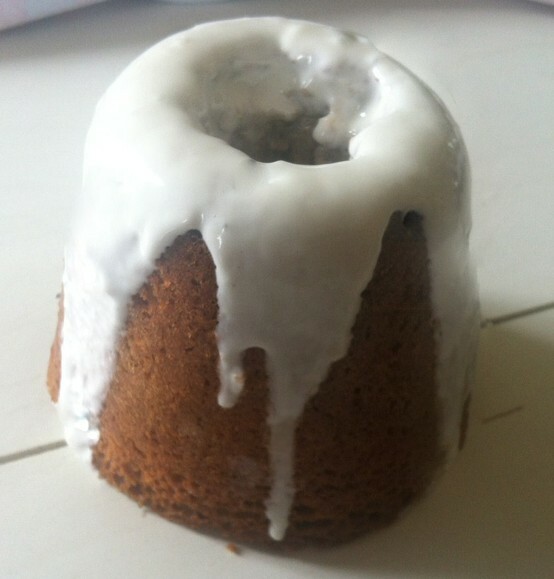 YES, someone stole my Sweetroll! Arrest him! Wow!! My ego explodes with happiness! Hey, did you know that Sweetroll was also the name of a candy from the original Dragonball manga? I find the name share amusing, although I don't think you'd want to eat a Dragonball sweetroll. Your recipe sounds pretty radical. I did not know that! Thank you for sharing! Your wish is my command! Look again, good sir. Could you make these smaller by using a muffin/cupcake pan and would you have to adjust the time for baking? Yes! You can definitely make little guys with a muffin pan. You will want to bake them for about 20 minutes instead. Make sure they're done by inserting a knife or toothpick in the center of one, and if it comes out clean it is done. Thank you so much! I'm going to a cookout with some friends and I decided to make these for them. I hope no one steals them! That looks awesome!! I am a proud geek! Great recipe! however, fus do rah is actually fus ro dah. Sorry if I come across as nit-pick-y but it might be worth changing. Again though, great recipe! Oh my! My Dragon Shouting skills need some work. Fixed! Thank you! As a skyrim fan myself, i must say...Talos Guide you. visit my DeviantArt for Armor and weapons from Favored Games. Is that really supposed to say "1 1/12 cup line" when baking? Not 1 1/2? 1 1/12 seems odd to me. My measuring cup doesn't even have a 1 1/12 cup line, unsurprisingly. You are correct, it is supposed to say 1 1/2. Thank you for pointing that out! Fixed. I have a friend who I am throwing a surprise party for and these would tickle her silly but can you think of a sub for cream cheese? That's awesome! You could probably use regular frosting watered down with some milk for the same icing effect. I made these tonight and they turned out great! I substituted the pecans for mini-chocolate chips though. Nothin' wrong with adding chocolate! Great idea! omfg I MUST try this recipe!!!!!!!! This is a great recipe! I have used it several times and they taste exactly as I'd imagine a sweet roll to taste. The frosting glaze on top is especially delicious. I used a mini bundt pan for mine. They don't have the same height but it's a little bit easier! I'm so happy to hear you like it! Thank you! I need help! I've tried looking online but out of a dozen sites, no two had the same measurements so I have to ask the chef. To us who use metric, how much is a cup??? Do you make sweetroll very often? Oh, what am I saying, of course you don't. What would you have to do to the recipe for this in a bunt pan like quadroople or what? Did you read the post? It says to make it in a glass Pyrex cup. Bundt pans would create the indent for those of us not used to cooking with daggers. Pyrex measuring cups are usually about 2 cups in volume. Recipe is for 2 pyrex cups, so 4 cups of batter (ish). Use some more math and the volume of your bundt pan to figure out how to change the recipe. Bundt pans are typically 6-8 cups. Idea: mini bundt pans. LOL - I am eating one right now. Soooo yummy. My kids and I made them for my friends when they came over yesterday, just so we could take them away and say "What's a matter? Someone stole you sweetroll?" When I made them, I got 5 sweetrolls (probably could have made them smaller and gotten more) - we ended up cutting some in half to feed everyone. I used to take arrows to the knee, until i started to make sweetrolls. I would just like to say that I made this for some friends of mine and they literally didn't want to eat anything else afterward because they didn't want the taste to leave their mouth. Technicaly, nordic culture shows that the roll itself was not sweet, but actually more like a not-sweet sponge cake. It's the icing that gives it its sweetness. Awesome recipe! Here's a pic of mine all Skyrimmed out. Thanks and cheers. I want to make this so bad >~< I would, but I am allergic to cinnamon. Does anyone know of a substitute for it? Hey, these look great! We're putting together an issue of our craft zine Snippets over on Cut Out and Keep, and one of our writers has written about Elder Scrolls fandom and a little about your recipe - would you mind if we used one of these pictures for the piece? We will of course link back. Let me know at jenny.mugridge@gmail.com and thanks for the recipe! Click the picture to go to the purchase page! 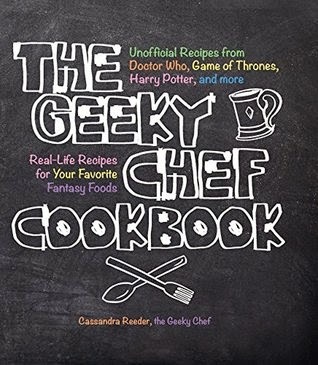 Visit Geeky Chef's profile on Pinterest. The Geeky Chef Strikes Back! : Even More Unofficial Recipes from Minecraft, Game of Thrones, Harry Potter, Twin Peaks, and More! Uncredited use and/or duplication of this material without a expressed and written permission from this blog’s author is prohibited. Excerpts, pictures and links may be used, provided that full and clear credit is given to The Geeky Chef with appropriate and specific direction to the original content. You do not need the author's permission to use content if you clearly credit the source and provide viewers a noticeable working link back to www.GeekyChef.com. Geeky Chef accepts image and recipe submissions from readers. There is no way to verify the source of these submissions. If you see any images or content that belongs to you and you don't want on the site, please contact me and it will be removed immediately. All content is inspired by media which may or may not be copyrighted. The author claims no affiliation, partnership, ownership or creative rights over any of the mentioned brands or media.